High quality, large format printing onto canvas of your favourite art collections or photos. 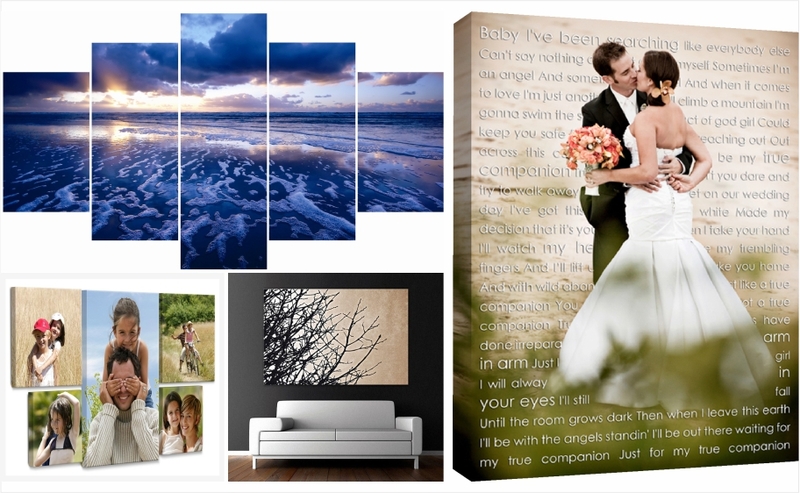 Let us print your photos directly onto canvas turning your precious memories into art! Your canvas prints can be customised to your special requirements. You can create panoramic prints, two, three, four or more panel canvas prints from your favourite photos, because you are not tied to any standard size. You can also have your photos printed in black and white, grayscale or sepia, for an artistic touch. We print up to any suitable size on 1300mm wide canvas. So email us your digital photos for canvas printing and we will produce an high quality print on premium canvas and stretch them onto quality wooden stretcher bars. Almost any photograph is suitable for printing on canvas. Whether it's an old photo that you want to convert to art or a special photo, printing on canvas will be suitable. A benefit of canvas photo printing is that the rough surface is extremely forgiving, allowing you to print pictures at a size that normal photo paper would not allow - quality breakdown in the picture is hidden by the rough surface, making canvas printing ideal for printing old photos, or photos that cannot be printed any larger with traditional printing methods. We finish each canvas photo print with a UV protective coating that doubles as a water resilient surface. Many printers offer lower price canvas prints but skip this important step. When ordering, all you need to do is to work out the size of canvas print you wish to have and email us your order with your photos attached. canvas. We use a high quality 100% cotton artist grade canvas. Combined with the Roland eco solvent inks, your prints are guaranteed to remain crisp and vibrant for years.